LIVINGSTON COUNTY — Mosquitoes are not only a nuisance, but some can carry West Nile Virus. 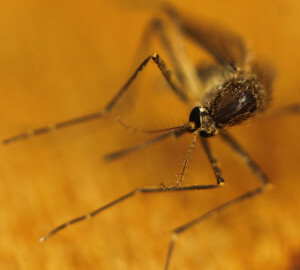 According to a press release from the Livingston County Department of Health, the West Nile Virus is spreads through the bite of an infected mosquito; although the chances of catching this virus are slim, it is important to take precautions. “The West Nile Virus has been here for several years, and since the 2000’s we’ve really just had to accept it and protect ourselves against it,” said Livingston County Director of Environmental Health Mark Grove. People of all ages can become infected with West Nile Virus, those who are at highest risk for severe illness from the virus include people with compromised immune systems and the elderly. The Department of Health says to protect yourself and your family please do the following: use mosquito repellant in accordance with the manufacturer’s recommendations, wear long-sleeved shirts and long pants when working and playing outdoors, and repair damaged window and door screens. In order to reduce the mosquitoes around your house and property you must get rid of all standing water.  Apply insect repellent containing DEET, picaridin, IR3535, oil of lemon eucalyptus (OLE), or PMD to exposed skin, following the manufacturer’s instructions. If using on small children, do not apply to the face, hands or open sores. Do not apply to infants; use mosquito netting instead.  If possible, wear long sleeves and long pants. Mosquitoes can bite through thin layers of clothing so using insect repellent containing DEET, picaridin, IR3535, or oil of lemon eucolyptus, lowers the risk of being bitten by a mosquito.  Get rid of standing water. Even the smallest amounts can be enough for mosquitoes to lay eggs. Look around at such things as buckets, cans, flowerpots and other items that may retain water. Empty and refill birdbaths once or twice a week.  Install or repair window and door screens so mosquitoes cannot get into the house.  Many mosquitoes are most active from dusk to dawn. Minimize outdoor activities during this time, if possible.For any questions or concerns please contact the Livingston County Department of Health at (585) 243-7280, or visit our website at www.livingstoncounty.us/doh.htm.